In early January, we will be changing some of the underlying technology to facilitate Vessel testing. These changes will necessitate a wipe of inventory items and equipment across all worlds. In light that timing, we are electing NOT to do an item wipe for this test. Please report any bugs that you find (or have found) that result in the excess or erroneous creation of items / resources and feel free to use 'ill-gotten gains' to help us test the bounds of the crafting system. 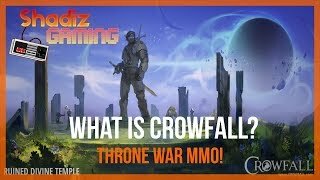 As always, thanks for your patience and your assistance in helping us to make Crowfall as great as it can b! Fixed issue that permitted changing quantity of stack created during crafting. Increased metrics around server subsystem performance.